Packing up & moving home ready for a house move can be stressful. There will feel like there’s a million and one things to do. Moving can be an absolute pain but it’s short lived and once it’s done it will be completely worth it to be in your new home. Do not leave your packing till the last minute. Take your time to pack your items up carefully. 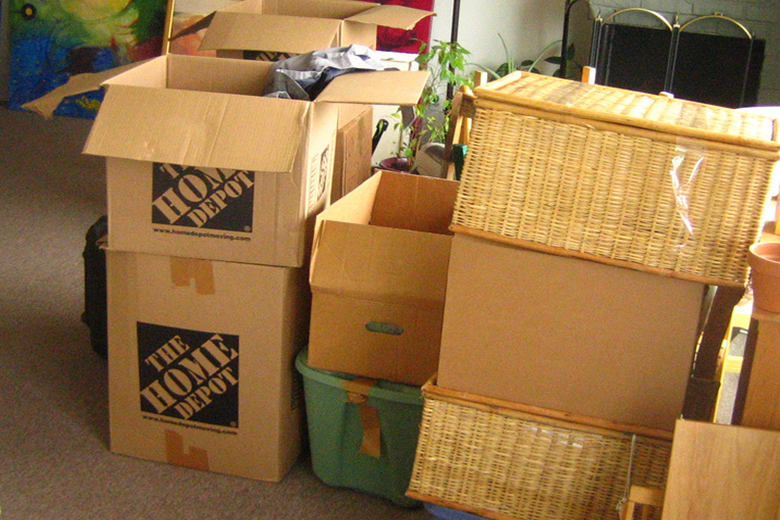 If you have a larger home start the packing around two months before you are due to leave and do one box a day. This can take the major stress out. For a smaller house or flat start around one month before. You can also use a packaging service to help you pack your items for storage. It makes sense to pack up items that are not used on a daily basis or that you are not going to need in between now and your house move. Doing this will help you stay organised and make it easier at the other end as everything from that one room will go into the designated room at the new house. Packing up is a great excuse to have a complete declutter and get rid of anything that you feel you don’t need any more. It’s time to be brutal, if you haven’t used something or worn a particular item of clothing in over 2 years then get rid of it. Why not try and make a few extra pounds and sell some things on Ebay! If that feels like too much trouble, then donate unwanted things over to charity. One mans junk is another mans treasure! Using old boxes from supermarkets is not really going to be sufficient for a house move. You need good quality, strong boxes and packing materials. You will need tape, bubble wrap, labels and marker pens. It is better to keep the boxes around 30 pounds or less or you could injure your back trying to move them. Pack light items into larger boxes and heavier items into smaller boxes. Ensure that you label each box you have packed up clearly with a marker. Put a few labels on each of the boxes at the sides so that you can still see where they need to go when they are stacked up. It’s a good idea to label the boxes so you know what is inside them as well as the room they belong in. This may seem like common sense, but it is worth mentioning. This is a survival box that you will need to get hold of first. In this pack things such as, the kettle, some mugs, milk, tea, coffee, sugar etc. Pet food (If you have pets), toilet paper, paper towel and some snacks. Moving house is hungry work!! A great tip is to take photos of the back of your TV or other electronic set ups. This is a great way to keep track of where the wires need to go at the other end. Ensure you have let everyone know your new address. Start with all your utility companies and organisations like the bank, doctors and dentist. Do this around 2 weeks before you move. You can also have any mail that is delivered to your old address diverted with the Royal Mail. A small fee is charged for this.